Are skin toners an essential part of a skin care regimen? For years ‘cleanse, tone and moisturize’ was the standard three-step beauty routine. In more recent times though, many believe that the use of toners is not necessary, proving your cleansing routine is thorough. The fact is, the use of toners is an important step in maintaining healthy skin – a step that is highly under-rated and overlooked today. That’s because, no matter how well you cleanse, there are traces of dirt, grime, make-up, natural oils or heavy skin products such as sunscreen that remain behind. Toners remove all remaining traces of these and prepare the skin for the next step in your skincare routine (acne treatment, moisturizer and/or anti-aging products). The right toner will not only remove all traces of make-up and oils, toners nourish the skin and restore alkalinity, leaving it feeling more conditioned, smoother, softer and healthy. In the past, toners were primarily designed to tighten pores and control oil. They contained a high volume of alcohol which made them good toners for this type of skin. We now know that over-drying the skin with high alcohol-based products is not the answer to controlling oily skin. Today, toners are formulated with a plethora of conditioning and beneficial ingredients designed for all skin types and conditions. The key is finding the best facial toner for you. Restore pH balance: This of often due to the alkaline qualities of soap products we use. Most cleansers and soaps contain surfactants – a necessary ingredient to break down the oils and debris on the skin. But soap that is too alkaline can also break down the natural acid in the skin, causing dryness and disrupting the natural balance in the skin. Toners can quickly restore this balance. Minimize the look of enlarged pores. Enlarged pores are the result of blocked pores caused by oiliness. The first step in minimizing the look of enlarged pores is to regularly exfoliate and deep clean pores. The next step is to select a toner that contains salicylic acid and/or glycolic acid to effectively remove excess residue and dead skin cells to unblock pores. Keeping pores free of debris will prevent them from enlarging, and the right toner can help keep them clear and minimize their appearance. Protect the skin: Most toners tighten and close pores after cleansing. This helps prevent environmental impurities from penetrating the skin’s barrier after application and they can effectively remove minerals and chlorine found in tap water used to clean the skin. Moisturize the skin. The best facial toners for mature skin and those with lifeless skin should contain hydrating ingredients like hyaluronic acid to lock moisture in and prevent dehydration of skin. Other soothing and anti-inflammatory ingredients are helpful to clam sensitive and irritated skin. These toners should not contain alcohol or strong acids. Refresh and tone the skin. Toners are a quick way to refresh the skin on hot days or while simply on the go. There are many spritz toners available for a quick pick-me-up on a hot day. Refreshing or toning the skin is particularly important (say after working out) if the goal is to keep the skin clear of oils and debris until you can thoroughly cleanse. In general, those with oily or acne-prone skin should look for a toner formulated with the power to remove dirt and debris, cut through oil, and clear out blocked pores. This helps to minimize the formation of blackheads and prevent breakouts. For this type of skin, we like Burt’s Bees Garden Tomato Toner. For this skin type, selecting a toner that is alcohol-free is key. The goal for toning here is to remove traces of oil, traces of oil, grime and make-up left behind after cleansing. 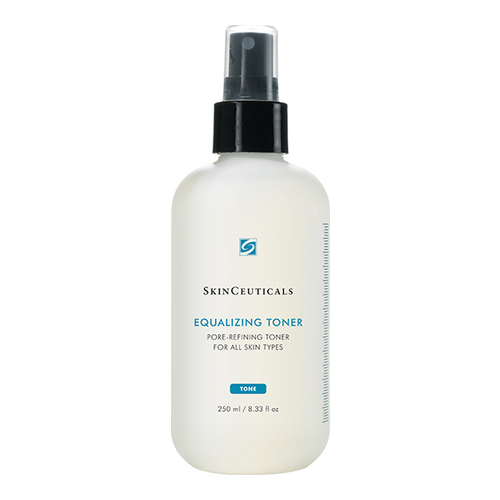 The best toner for this type of skin will leave the skin feeling clarified, nourished, and soft. The key to toning combination skin is to find a toner that will balance the skin’s pH while removing traces of oil, debris and make-up. For those trying to combat the signs of aging, the use of a quality toner formulated with antioxidants and restorative ingredients can boost the benefit of moisturizers, wrinkle-reducers and serums by improving the absorption of these products.